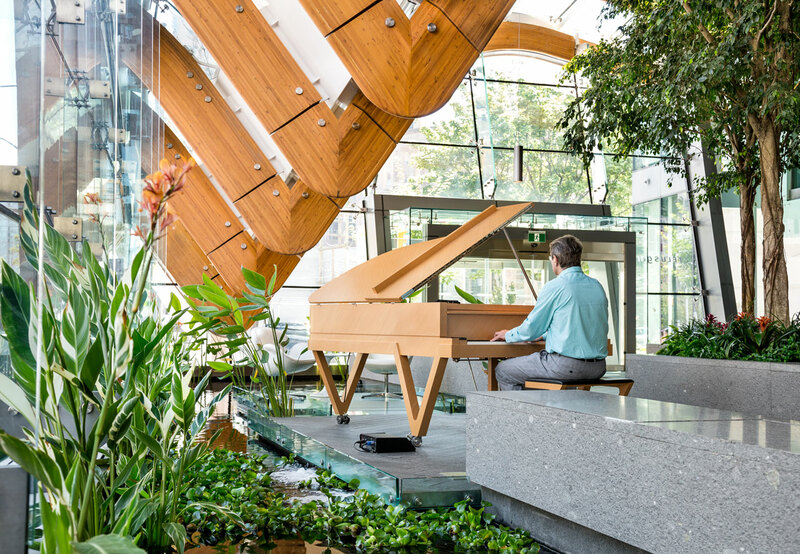 Situated in the TELUS Garden Office sits a custom-designed Fazioli piano that attracts office occupants and visitors from around the city for special music events and performances. 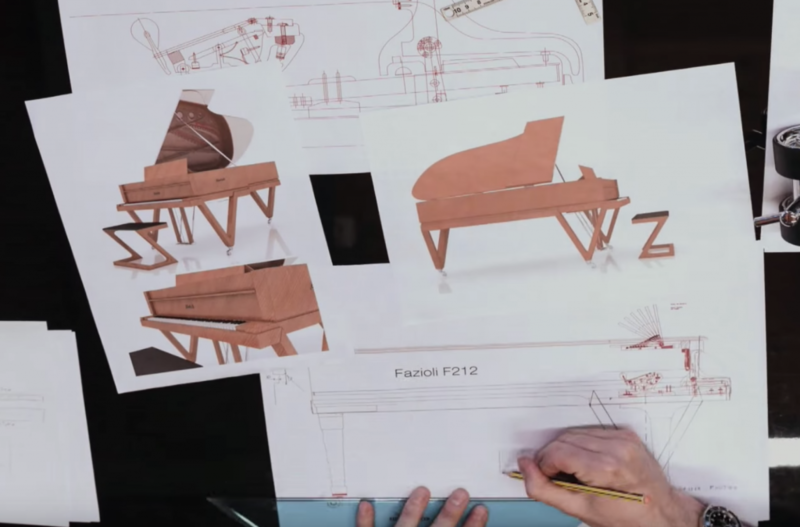 Designed by our Managing Principal, Gregory Henriquez, the piano was crafted with the building’s inspiration and aesthetics in mind. 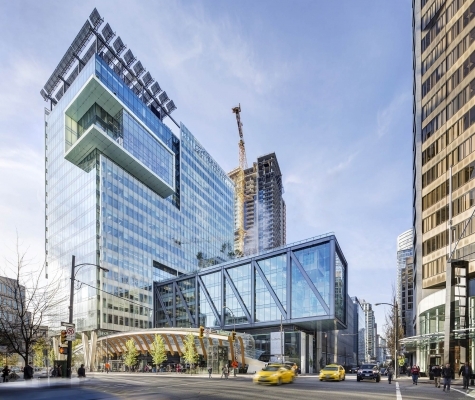 The natural wood finish and V-shaped legs mimic the building’s sculptural glulam beams and concrete V-shaped columns that are iconic features of the tower’s design. 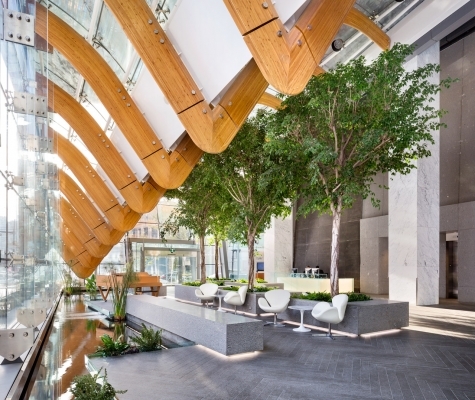 Unlike any other custom piano, the intent was to sync the piano’s design with the building’s geometry and materiality.